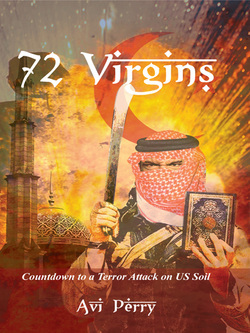 72 Virgins is a thriller about Jihad terrorism and the security agencies’ struggle to thwart its stratagem and trounce the perpetrators. Abu Musa is an Islamic Terrorist with an agenda, a ticking bomb inside the US. Arik Golan is an Israeli who tries to bring him down and pull the plug on his terror organization. Stanley Kramer is an FBI agent on a hunting mission, seeking to place both Abu Musa and Arik within his cross-hair. The FBI, the Israeli Foreign Intelligence Service—the Mossad, the US-based Iranian clandestine terror network, and the Islamic Jihad fraternity are engaged in a timeless conflict, playing out to a crescendo that comes to a head before the dramatic conclusion.